The first outing had some neat, exotic locations like a precipitous trek through a slice of Hellish mountainscape but it wasn't very fun to play on UV. 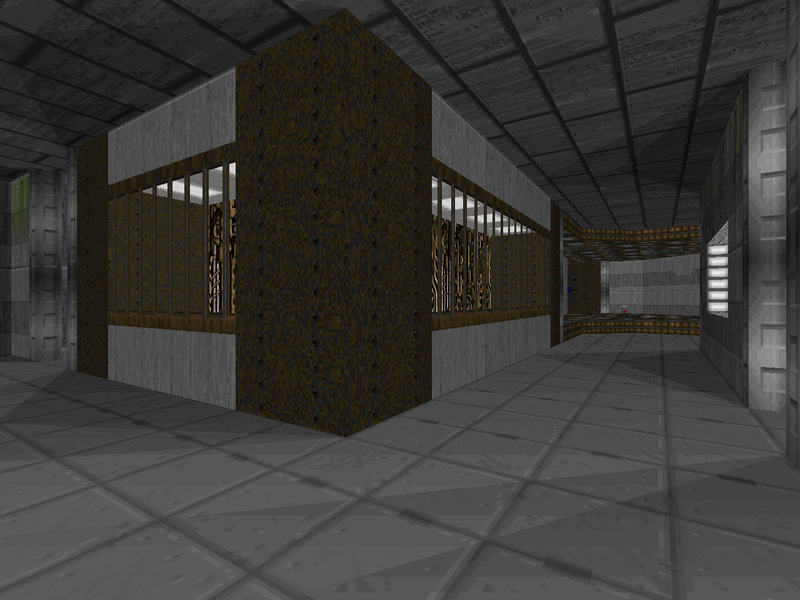 This one, which Corfiatis titled "Death Puzzle", isn't nearly as exotic as a sort of cave / underground base hodgepodge but I found it to be much more satisfying in its execution. 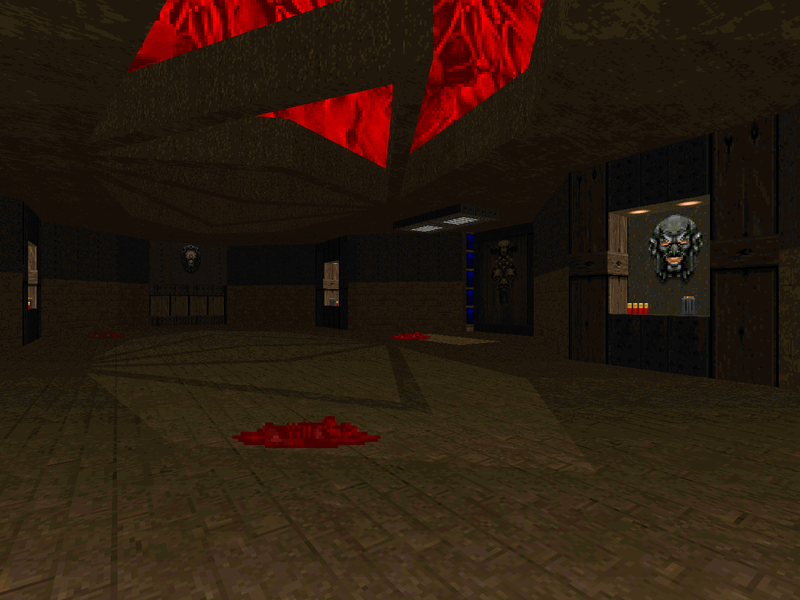 The most problematic scenario involves an intensely claustrophobic demon ambush but you ought to be able to use a plasma gun to buy you all the room you need or - like me - find yourself backed into a corner containing a secret Berserk pack and then use the alcove and raw power provided to punch your way out. Taking on hordes of demons and specters is sort of a signature here... and, I think, much of pcorf's career. It's not exactly puzzle-tacular but it does delight in switch-fu and I enjoy the way how you radially and slowly explore the layout from the central cavern. I also like Paul's inclusion of multiple key-locked doors. Two of the red ones ultimately lead to the same location and the styles of each leg's included encounters have similar but not identical flavors but the author plays with it in interesting ways. 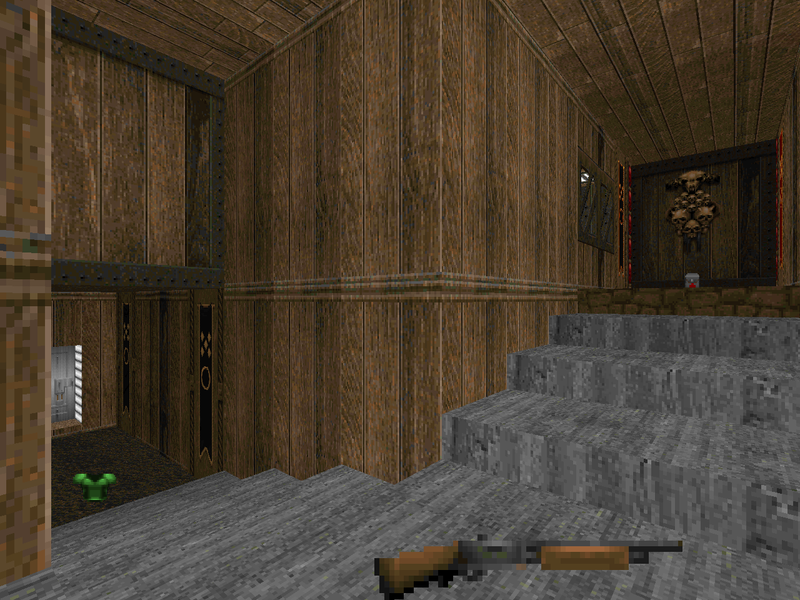 The third red key door, for instance, awards the player a super shotgun while the second yellow key portal hides a winding corridor that features a Pac-Man like trail of health and armor bonuses and ends in a grated window. Frustrating to some, perhaps, but not lethal in any fashion. Most of the standout encounters are tidal waves of melee monsters but I do like the transformation of the Hell chasm area. It starts out looking treacherous with the initial lost soul surprise and entrenched revenants and Hell knight. The big payoff comes when you grab the blue key and the pain elemental platforms actuate. It's a more organic way of hiding monsters in the map geometry and I enjoyed that they were deployed using cycling, timed lifts. The active sector machinery has a different feel since there isn't any guarantee as to whether or not they will be visible when you come back. The constantly mobile architecture imbues the level with more life than the momentary movements of monster closets that ultimately remain static settings. Two other fun bits... 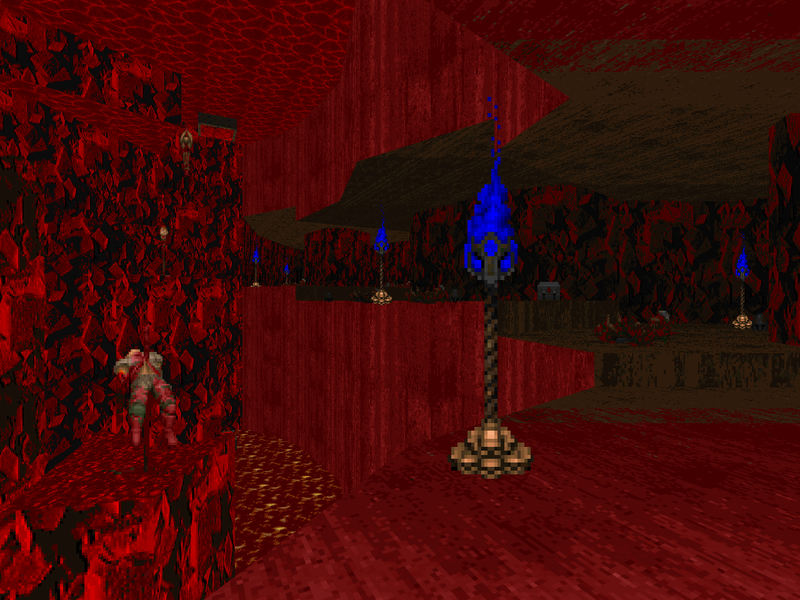 The end-of-level battle is against a Cyberdemon in a pit alongside a couple of Barons. You have the high ground, actually, and you're in more danger of having your feet cooked than getting splattered, but it's still a dynamically dangerous scenario. You have to be close enough to fire over the lip but cognizant of when he manages to step so far back that he can actually hit you. I like it! The second thing is Paul's other signature touch. The map starts out with a look at a pair of SS Troopers which may be a turnoff for some but I usually relish the opportunity to kill a few Nazis. I really enjoyed SELFISH2! 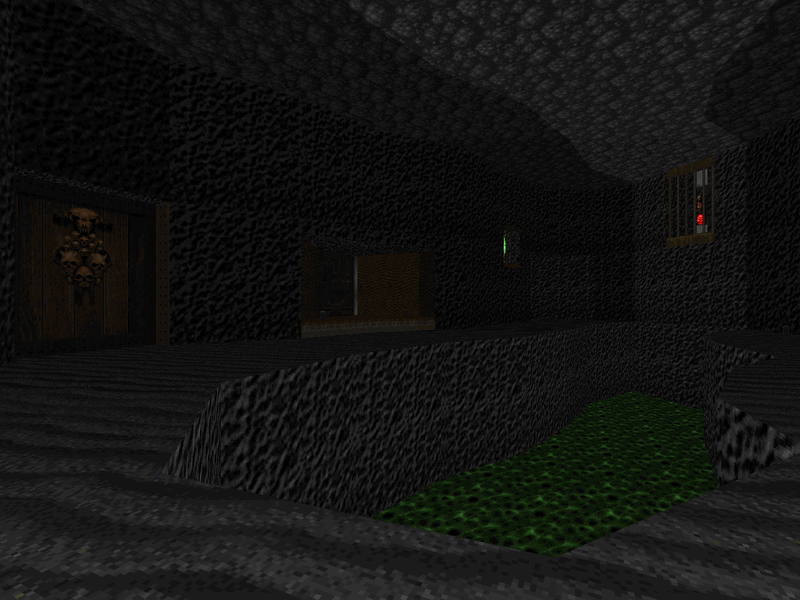 The level has a layout that's fun to unravel and relatively better-balanced combat. 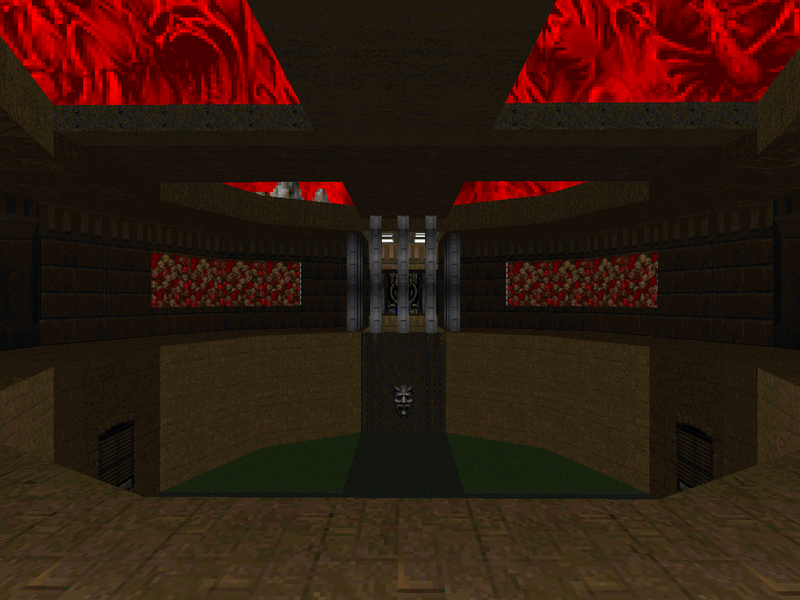 Certainly a worthy entry in the series and pcorf's Doom II canon. If you're looking for some relatively low-key demonslaying with a few twists then this might just do the trick.